The growth of Instagram, our favorite social media platform, brings us many beautiful things, one of them is the cuteness of toddlers. It’s common for mothers to share pictures of their loved ones, especially their newborn. Hence, the popularity of toddlers is arising. And among the celebs, we’ve picked the top 4 cutest moment of bonding time between mother and the baby. Andien sure knows how to create a trend. After the beautiful and green wedding in 2015, Andien wowed her Instagram followers with her water birth. A cute son was born and named Anaku Askara Biru in January. Since then, she loved to share her experience after becoming a mom. Baby Kawa is now 6 months old and he is cuter than ever. 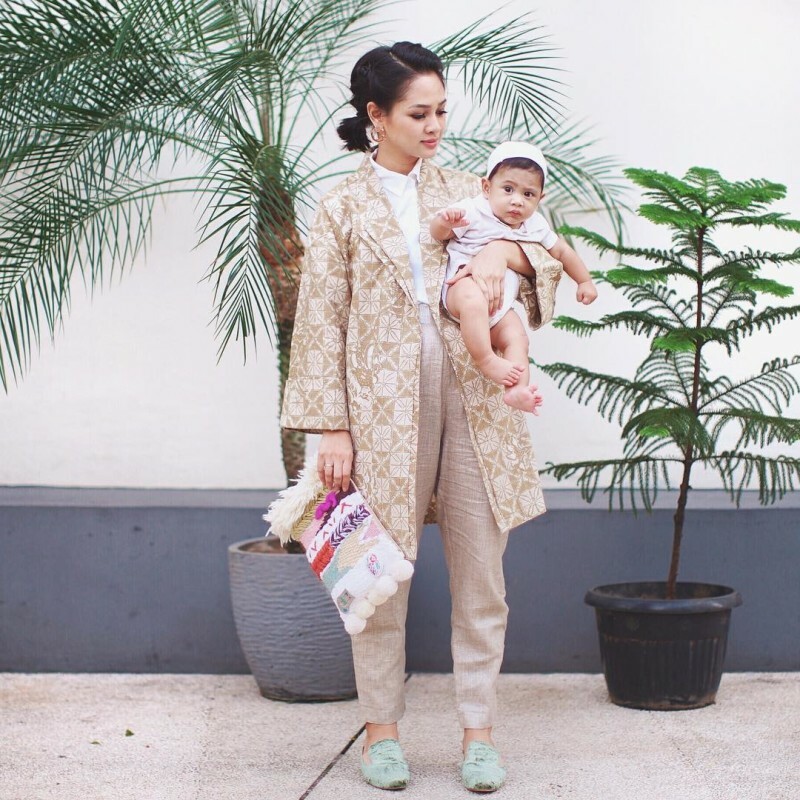 Infamous with her tagline #TemanTapiMenikah on her Instagram, Ayudia Bing Slamet shared her experience of taking care newborn baby Dia Sekala Bumi – a love child of her and Ditto’s. Through her witty captions in every photo, she created a sweet relation between Sekala and her followers. Sekala’s big eyes caught us off guard – and we love it. This beautiful mom serves us a daily dose of Bjorka Dieter Morscheck on Instagram. The adorable kid is of Sabai’s and actor Ringgo Agus Rahman’s. Bjorka is also Sekala’s best friend and a lot of both followers love this cute relationship. Sabai tends to post Bjorka’s cute acts on her account and it automatically invites people to double tap on Bjorka’s photos. A brand new mom! It’s only four months after Theodore Iori Liem’s birth, but baby Iori already snatches our weak heart. The combination of Putri Titian and Junior Liem’s are featured in baby Iori is the reason why the public (including us) adore him a lot. Congratulations for the new parents!